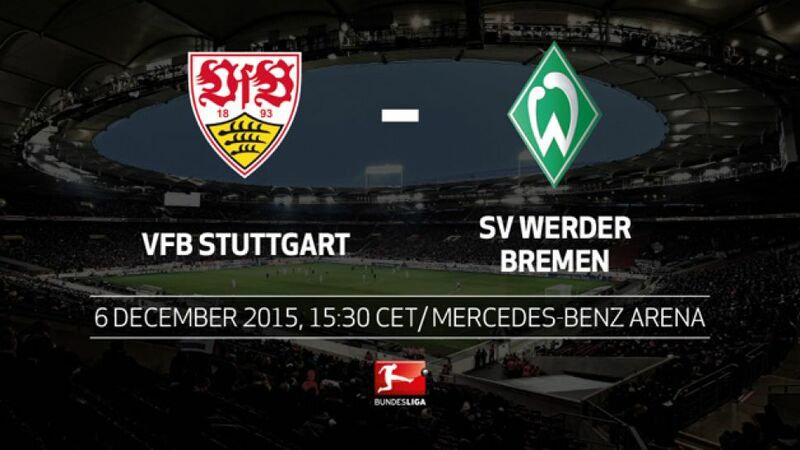 VfB Stuttgart host fellow strugglers SV Werder Bremen in a meeting of the Bundesliga's leakiest defences on Sunday (kick-off 15:30CET/14:30GMT). On current form, Bremen are the worst side in the league, having lost eight of their last ten.No other teams have suffered more defeats than Stuttgart (ten) and Bremen (nine) since the season began.Stuttgart's ten-point return after 14 matches is their worst ever start to a season. Bremen, currently on 13 points, were worse off only once before at this juncture - 41 years ago.Bremen shipped a league-high 24 goals from set-pieces last season. This term, they have conceded fewer goals from dead-ball scenarios than any other team (two).Werder have won all three of their Sunday fixtures so far in 2015/16.